Mefiu - I'm sure they sound great! loop - your ride looks brand new! 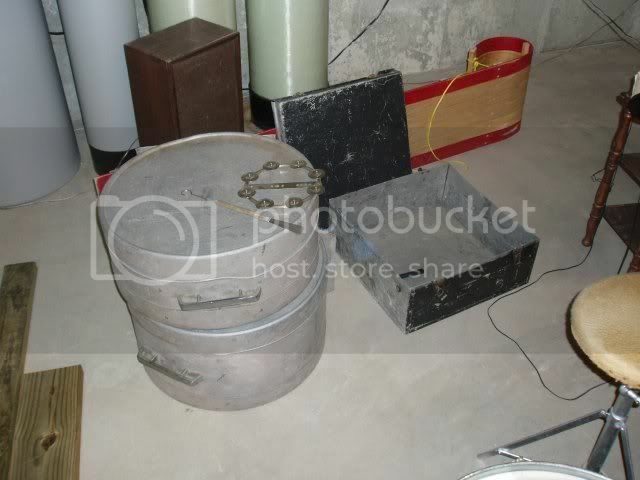 This is a U.S. Mercury kit from the 60's that i just restored and refinished this summer. i have some treasures but no camera! dutch wrote: i have some treasures but no camera! Try to get a camera and post'em! 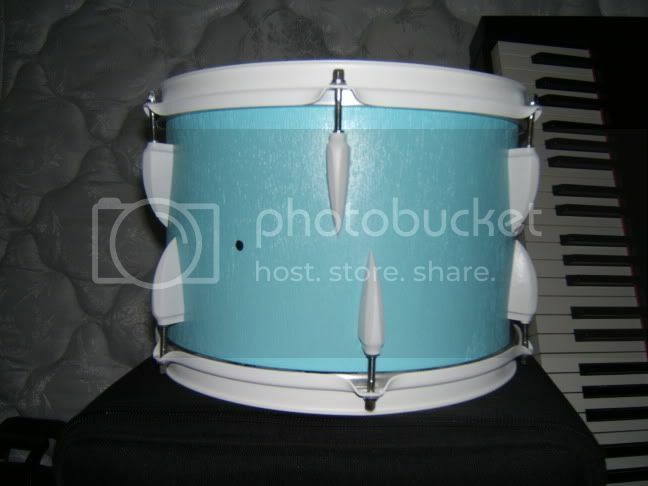 I love Rogers drums! 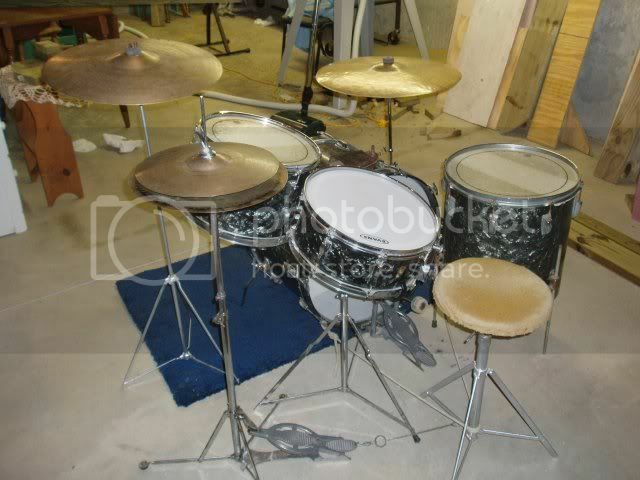 I'm not exactly sure on the year of this kit...but some guys at guitar center said late 40's early 50's. 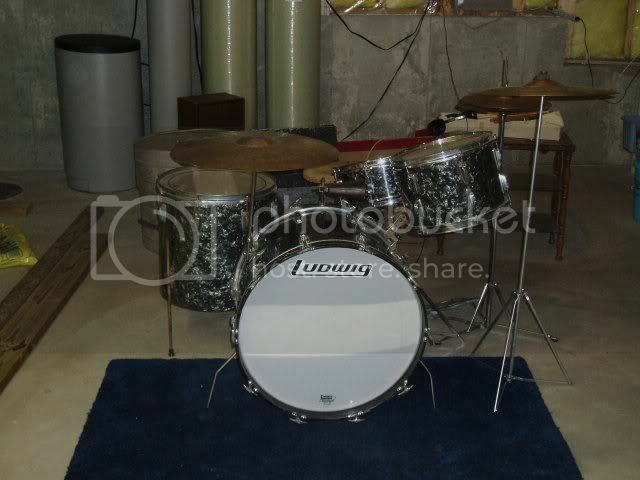 Everything but the drum heads (except for the front bass drum head) are original...this is my dad's kit and he's owned it for at least about 45 years now...this is what i grew up learning to play on...i love it, it's my favorite kit ever! 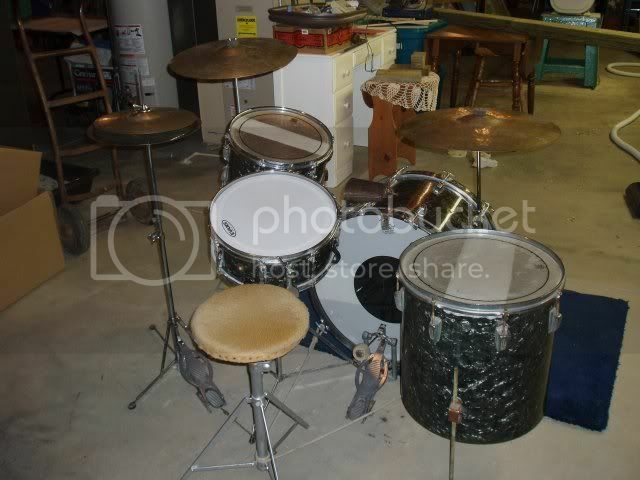 It's complete with old Zildjians and speed king pedals as well.